إن فندق Whitsunday on the Beach Hotel بموقعه الممتاز في هذه المنطقة السياحية هو نقطة انطلاق جيدة لنزهاتك في هذه المدينة المذهلة. إن موقع الفندق الاستراتيجي، الذي يبعد 0.0 km فقط عن مركز المدينة، يسمح للنزلاء بالوصول سريعاً وبسهولة إلى العديد من الوجهات المحلية المثيرة. يقع هذا الفندق الحديث على مسافة قريبة من المعالم السياحية الشهيرة. إن الخدمات الممتازة وحسن الضيافة العالي في Whitsunday on the Beach Hotel تجعل إقامتك تجربة لا تنسى. يمكن الاستمتاع بمجموعة من الخدمات على أعلى المستويات في الفندق كمثل واي فاي مجاني في جميع الغرف, واي فاي في المناطق العامة, صف السيارات, التوصيل من وإلى المطار, جولات. تتضمن كل غرف النزلاء وسائل الراحة والتسلية المصممة خصيصاً لضمان الراحة القصوى للضيوف. يقدم الفندق مجموعة رائعة من الخدمات كمثل حمام سباحة خارجي, مسبح (للأطفال), حديقة، لجعل إقامتك تجربة لا تنسى. استمتع بخدمات لا يعلى عليها وعنوان ذو اعتبار في Whitsunday on the Beach Hotel . The best thing was that we were able to cook our own meals as it has a kitchen which has all u need! Also there is a gate just behind our room which goes to Airlie Lagoon. This was amazing. I think the rooms are also very big but just maybe needs a little renovation to make it more inviting. But other than that, I couldnt fault the location. Its walking distance at your doorstep to all you need. I had read some reviews about the noise from the street disturbing the people staying in this motel's rooms especially on the weekend and was a bit concerned as I was travelling with my senior parents. However, although we stayed there on a weekend, we faced no such issue at all. The motel is well located, right in the middle of the lively area, yet there was no noise that disturbed us in the night. Also, they have direct access for the guests to the lagoon, which is great! There is also free private parking, which is very helpful. The only drawback is that the reception is open for very few hours in the day, in case you need any kind of help from the staff. Also, they do not clean the room every day, only once in 3 days. Enjoyed my stay here, I had a studio apartment which had own balcony and views on the lagoon and sea. Apartment is bright and spacious it’s slightly dated but has all you would need. Fantastic location, direct access to the FREE public lagoon and play ground. Great veiws from the first floor balcony. Very close to the stores and restaurants. 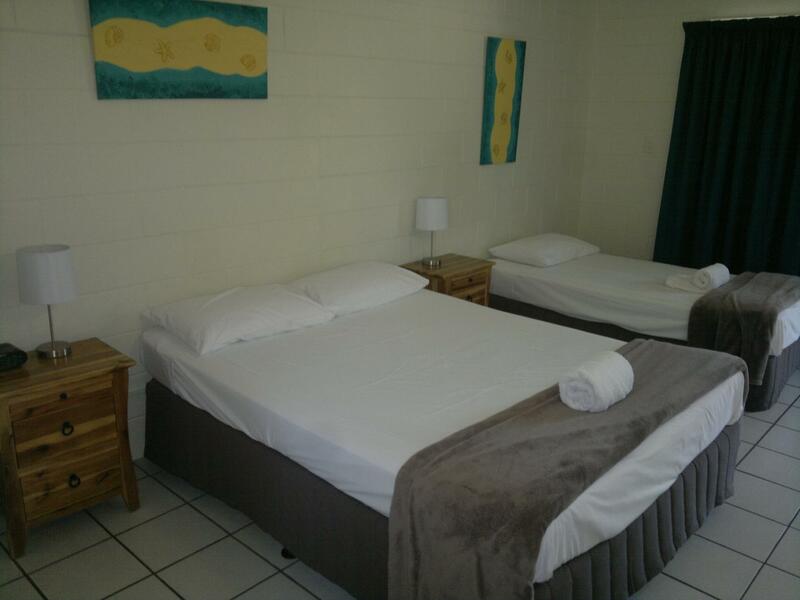 The rooms are very basic, but perfect for washing off the sand and sleeping soundly. We booked in last minute and the man working reception was great. Room was already cooled off with AC and ceiling fan, and a pitcher of water cooling in the kitchenette fridge. Beds clean and comfy. A real welcome after sailing the reef for three days. Think we got the worst room in the hotel. Small, no closet, so we had to put our things on the floor. No where to dry our clothes If it got wet. Just next to the reception, so a lot of traffic outside our door. No place to sit outside in privacy. Rooms worn down. Easy check in/out, friendly staff. Close to town (so pretty noise), easy to find restaurants nearby. Airlie beach is more a party town, then enywhere else we have been. Location of hotel. Staff very friendly and always happy to assist with any query. From the Moment of arrival until we left we enjoyed everything. Before booking the hotel I contacted them to let them know I would arrive outside of their office hours. Upon arrival I discovered my key was locked inside a wall safe, which would be fine except for 2 small problems, they didn't bother to give me the code for the safe and the safe was located inside the secure compound which could only be entered using the key in the safe. I waited on the street for 45 minutes until another guest was kind enough to let me in and open the safe as they encountered the same problem the day before. The bed was so bad I ended up sleeping on the floor. The A/C unit was so old and noisy you had to turn it off to have any chance off sleeping. The room had a rear door so flimsy it looked like a cupboard at first glance, it opened when I leaned against it one morning with no need for the key, from then on I locked all of my belongings in the car boot. This is 30 AUD accommodation charging hotel prices. 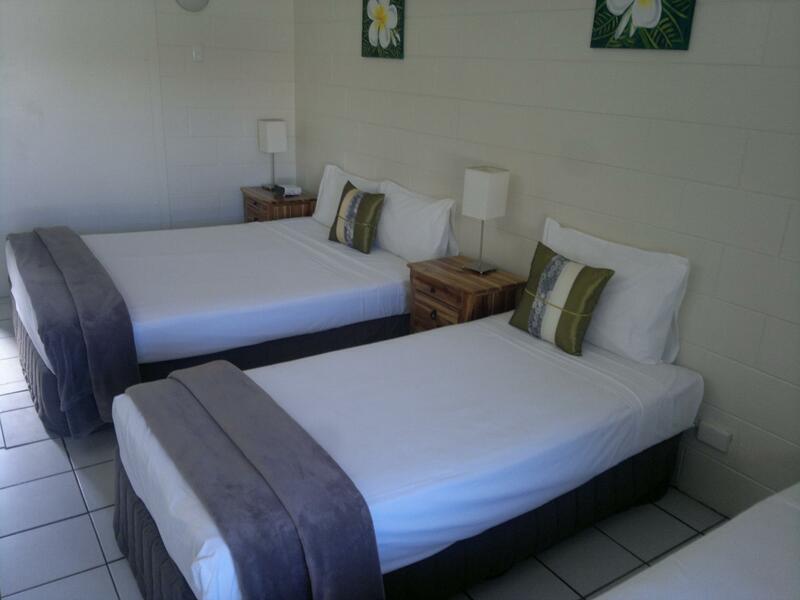 We just popped in for 1 night on our way to daydream island and it was a lovely little motel, will definitely stay there again!! 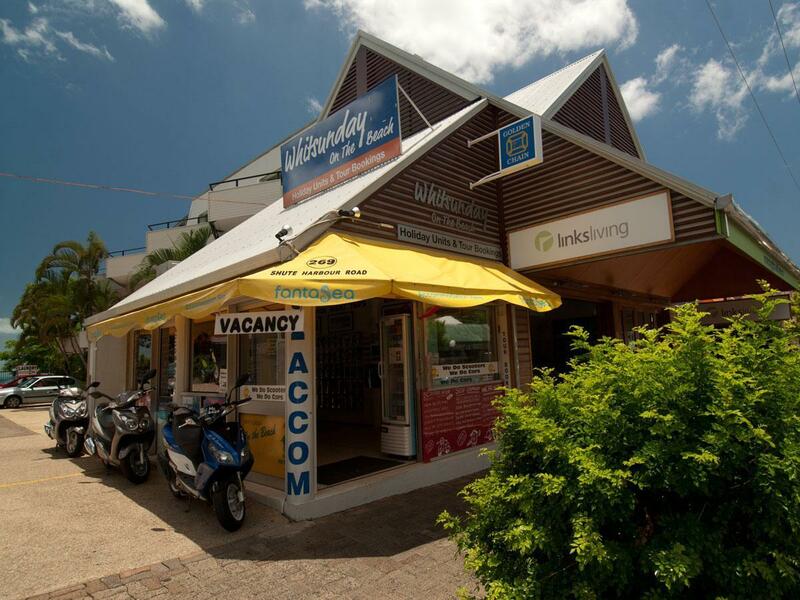 Lovely and friendly staff and its smack bang in the middle of airlie beach main street. Backpacer standard good for a day or three. Plenty of space and a small kitchen to cook for yourself if you're on a budget. Direct access to the man made lagoon trough the back port and direct access to the main street trough the front port. No view from the room as the only glass there were the large wall-to-wall sliding doors. But I didn't really take notice, I just needed a place to sleep where location was key and for that it hit the spot. Staff was accommodating and service minded in every respect. 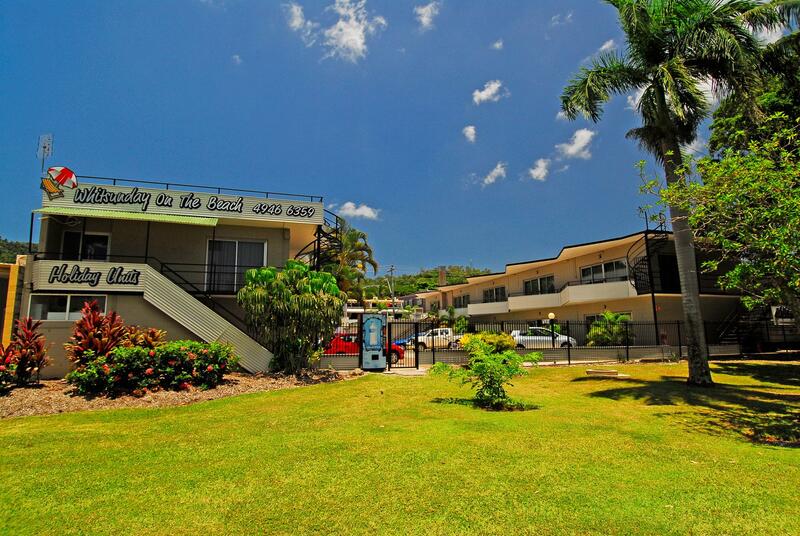 Is the perfect location in airlie beach. Pick up point to airport or sight seeing is just at the door step.Public swimming pool and park is just a step out in the backdoor. Owner of the hotel is very helpful and friendly. Recommended us the right tour and restaurant to dine in. Just that the bed is not comfortable to sleep on and window unit air-con is very noisy. We only had three days to enjoy the Barrier Reef and get away from it all. Couldn't be happier with the staff hospitality, security, the proximity to all shopping and tourist accessibility, swimming, beach and reef... plus very affordable. This is located in the heart of town, close to everything. Great value, friendly, helpful staff.